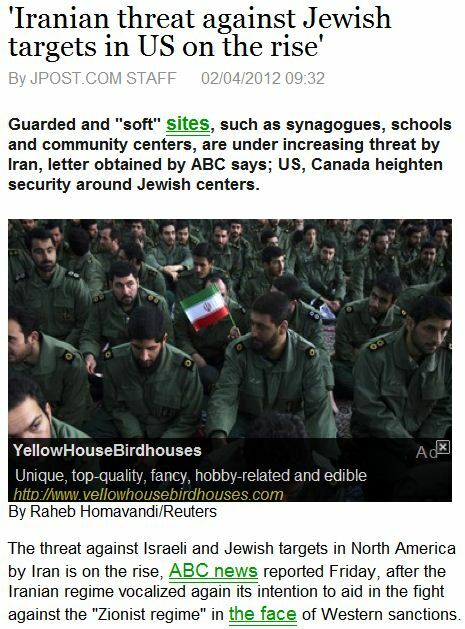 JEWISH TARGETS INSIDE THE U.S. UNDER THREAT BY IRAN…….. – The Tundra Tabloids……. JEWISH TARGETS INSIDE THE U.S. UNDER THREAT BY IRAN…….. Remember folks, when they say ‘Zionists’, they really mean Jews. Previous Post Previous Post ASSAD KILLING MACHINE PLUNGES AHEAD, OVER 200 DEAD IN LATEST ROUND OF FIGHTING……. Next Post Next Post OBAMANOMICS: 1.2 MILLION UNEMPLOYED NO LONGER COUNTED, MEANS DIP IN UNEMPLOYMENT FIGURES……..